Asiatic Lilies have become more popular in American gardens in recent years because they are so easy to grow and produce such outstanding color. Nothing compares to a mass of colorful lilies in full bloom. 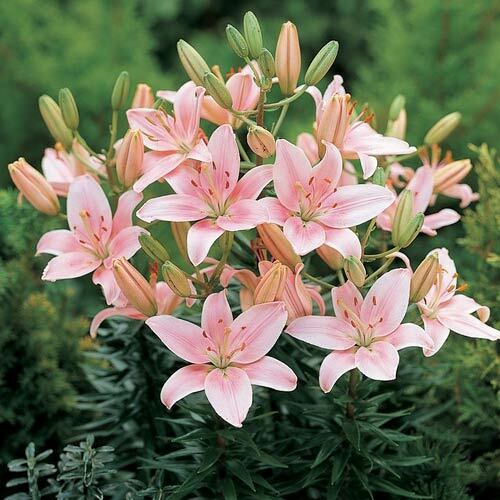 The lily is a symbol of majesty, and these regal, carefree blooms produce up to 12 beautiful flowers per bulb. 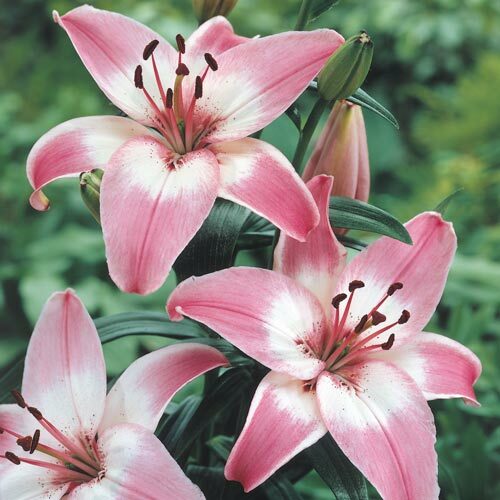 Fragrant and lovely, with attractively reflexed petals, Asiatic Lilies are available here in a complete color range. 6.5" upfacing flower. Typical asiatic looking lily flower.